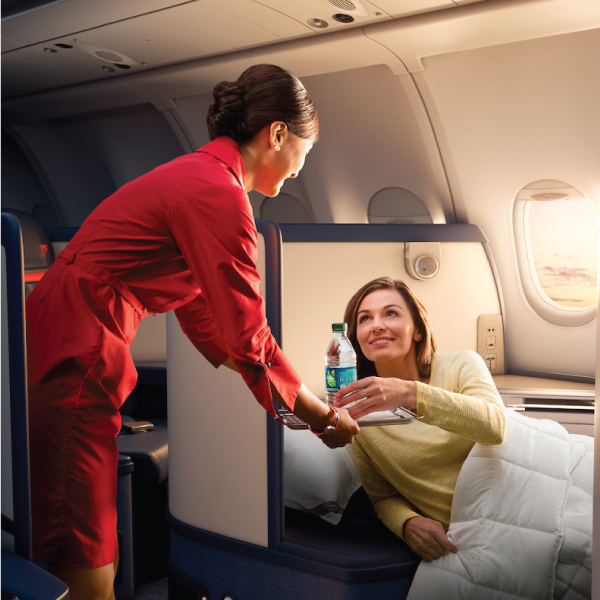 When you fly Delta Comfort+, you're guaranteed a restful and comfortable journey with an added 8cm extra legroom and a dedicated luggage overhead compartment just for your use. Delta Air Lines makes sure to take extra special care of their passengers, whether they're flying for two or 20 hours, on board staff tries to accommodate their needs as best as possible. 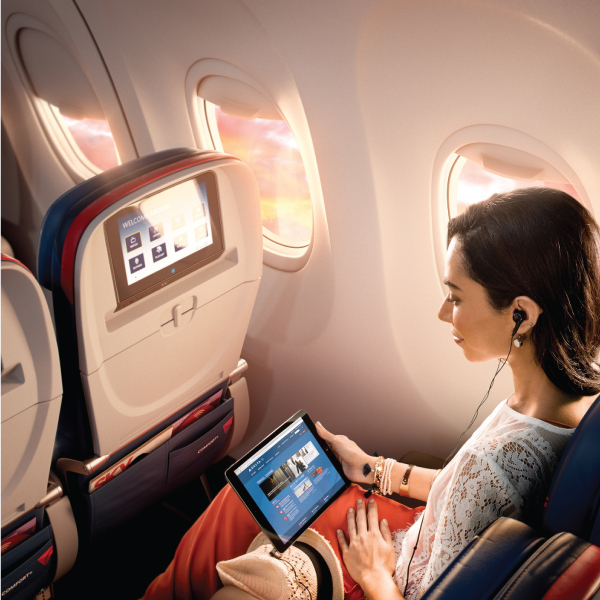 Delta was the first U.S airline to offer all inflight entertainment for free, offering thousands of hours of entertainment, including the latest movies, TV, music, games and more. What started as a humble aerial crop dusting operation in Macon, Georgia, Delta Air Lines have grown into one of the world’s largest global airlines, connecting more than 160 million travellers to the world. Delta Air Lines operates from its North American hub of Atlanta - the busiest airport in the world. As one of the largest and most established American carriers, Delta has an excellent domestic route network within the States as well as international, with flights to Europe, Asia, South America and Africa. Book Delta Air Lines flights to New York, Honolulu, Amsterdam and other exciting places! Economy class passenger are permitted to two pieces of baggage at 23kg per bag, whereas Business class passengers can check in 2 pieces of baggage at 32kg per bag. As for carry-on luggage: both Business and Economy class passengers are allowed one piece of hand baggage not to exceed 18kg. Delta aims to make the check-in process as seamless as possible by offering passengers the opportunity to check their baggage online within 24 hours of departure. Passengers are requested to arrive 3 hours prior to departure of international flights and are required to check in at least 60 minutes before the scheduled departure time. Passengers need to be at the gate and ready to board at least 45 minutes before scheduled departure time. Passengers are allowed to check-in online and save time at the airport. Online check-in is made available 24 hours before your flight departs. 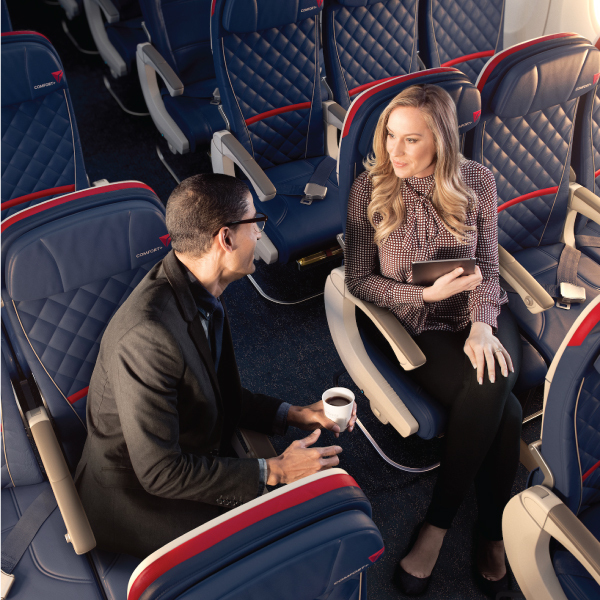 Get great value by choosing to fly Economy Class where you will be welcomed by Delta’s signature service and be treated to a complimentary snack and non-alcoholic drink. You also have access to the Wi-fi available, for purchase, and access to hours of movies, shows and more. Step into a world of comfort and luxury when you fly First class offering passengers personal service by dedicated flight attendant who are ready to make your in- flight experience one to remember. First class passengers are treated to a pre-flight drink or a hearty snack. Delta Air Lines is one of few airlines that fly to all 6 inhabited continents and is the only US carrier that flies to Johannesburg as well as Accra, Copenhagen, Dakar, Moscow, Prague, Reykjavik and Stuttgart.